Atheneum Books for Young Readers, 9781481486996, 256pp. After Charlotte’s father is kidnapped, she and her mother must overcome their differences and find a way to rescue him in this eloquent, moving portrayal of family from the author of William C. Morris Award finalist Tell Me Something Real. "Charlotte's feelings of helplessness and anxiety over the situation are compounded by her tenuous relationship with her Russian-immigrant mother, whose distance and reserve are the results of old traumas. Charlotte copes by weaving tales from Russian folklore throughout her story as a way of coming to terms with her own personal struggles...An intriguing element." 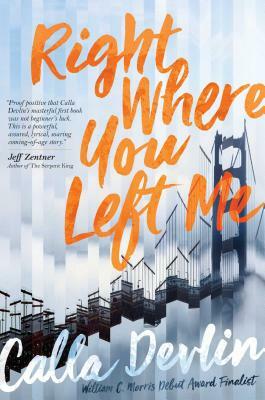 "Devlin writes a compelling story filled with complex characters. . . . A great coming-of-age story [for fans of] Beginning of Everything by Robyn Schneider, Nick and Norah’s Infinite Playlist by Rachel Cohn, and Thanks for the Trouble by Tommy Wallach."